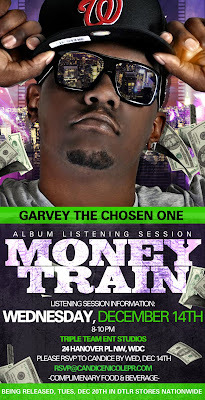 Please join Triple Team Ent on Wed, Dec 14th from 8-10 pm as they host Garvey The Chosen One's album listening session for "Money Train". 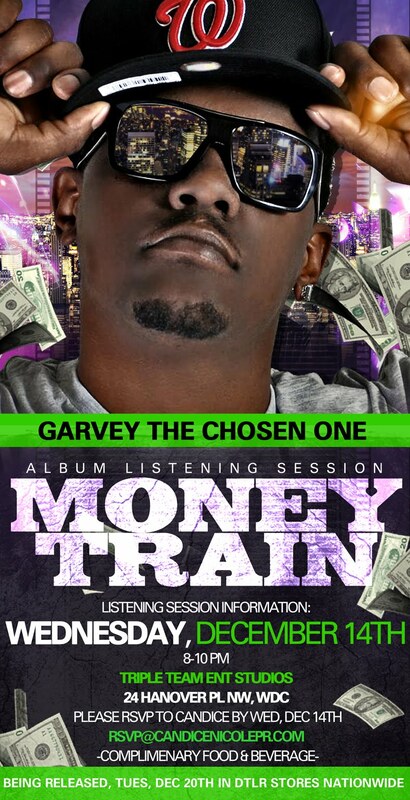 This album will be released on Tues, Dec 20th and will be sold in all DTLR locations Nationwide! Looking forward to having all of you music lovers & members of the media in attendance!